PaddlingExercises.com - Canoe and Kayak Paddling Exercises - Making you a stronger canoe and kayak paddler! I just returned from my annual pilgrimage to Canoecopia and I have to say that this year was the best ever. I am fortunate to have been selected as a speaker on several topics this year. 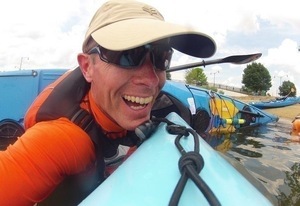 I had the pleasure of speaking with five separate audiences on topics, including a fitness session based on Power to the Paddle, leadership principles for day trips, and how to pack a kayak for a multi-day trip. The best part of the weekend was something that I will never grow tired of experiencing. Throughout the weekend, I had paddlers seek me out on the show floor and before and after speaking to tell me how much the book and DVD, Power to the Paddle, helped them. One gentlemen is down 25 pounds and continuing to lose more as a result of getting off the couch and focusing on himself. He is moving more now than ever and living life to the fullest. Another paddler has incorporated the exercises in the book into his programming three days a week and has increased his mobility considerably. As a result, he is back to enjoying long paddles without feeling exhausted at the end of the day. 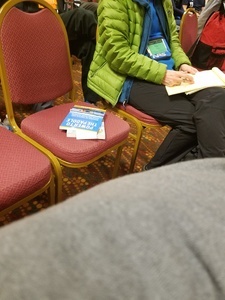 Another, who was working at the bookstore, purchased the book two years ago, well before working the show, and was recommending it to others for the benefits she gained. Your stories are exactly why I wrote the book and produced the DVD. There’s nothing more satisfying than knowing you’ve made a difference and helped someone enjoy their passion. I can’t begin to describe the feeling of pride when I noticed this sitting on a chair on Saturday afternoon. I truly hope that this paddler gains the same benefits. Thank you to everyone who is using the book and DVD. Keep telling me your stories. I am truly honored. I’ve been teaching CPR/AED/First Aid for Children, Infants, and Adults for my employer for the past 7 years and now it’s time to take the classes public. 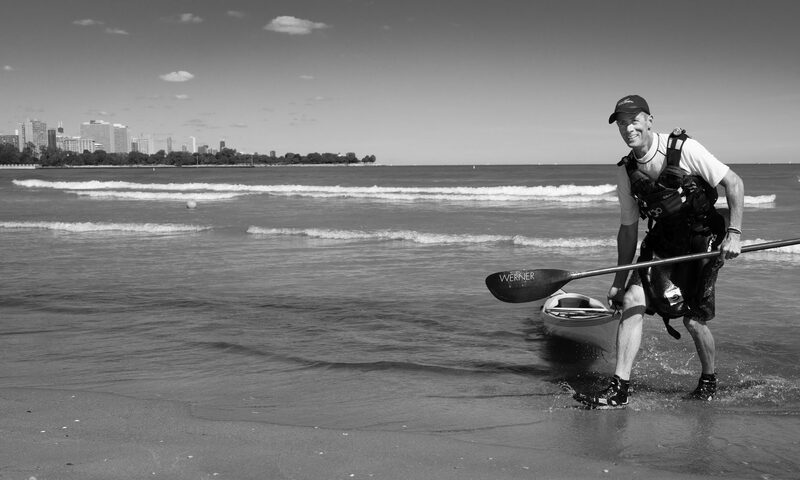 PaddlingExercises.com is an authorized training center through the American Safety and Health Institute and will be leading my first public class on March 24. If you’re in the Chicago area and looking for a thorough CPR/AED/First Aid certification at a reasonable price, here’s your opportunity. 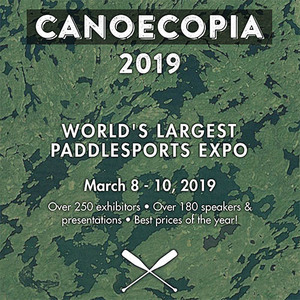 Will you be at Canoecopia 2019? I will and I hope to see you there too. I am honored to have been invited to speak four times on three topics at this year’s edition of the world’s largest paddlesports expo. 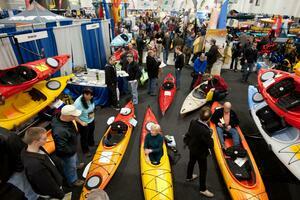 If you’ve never visited, check out five reasons to love Canoecopia.